Its not worth announcing that there was a lot of movement in the two rankings of the Global Poker Index (GPI) this week and that, due to the 46th edition of the World Series of Poker (WSOP) in Las Vegas. In the top 10, we see the strong growth of Anthony Zinno. 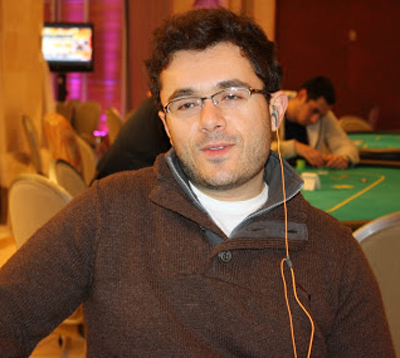 This poker pro from Massachusetts climbed 7 places and is now at the top of the podium. He is the provisional leader with 3,896.36 points. This phenomenal rise is due to his many exploits at the WSOP. Among others, he won his first gold bracelet by winning the Event # 60, a Pot-Limit Omaha High Roller of $ 25,000 buy-in. He also finished 7th of the famous charity poker tournament One Drop. We must also mention his 7th place in the No-Limit Hold'em 8-Handed at $ 5,000, his 5th place in the Limit Hold'em Championship for $ 10,000 and his 6th place in Omaha Hi-Lo 8 or Better Championship at $ 10,000. With all these results, Zinno records a total of earnings of at least $ 2 million this summer. Dan Smith follows him at the second position. Dethroned, he has 3,819.75 points. However, Bryn Kenney occupied the third position with 3,696.06 points. Having also embellished his record with paid spots at the WSOP 2015, the German player Ole Schemion is on the threshold of the podium. He has 3,686.11 points. However, the Belgian Davidi Kitai alias Kitbul completes the top 5 and holds 3637.95 points.